Size: 44" x 65" x 36"
Manufactured By: Robert A. Martin Co.
Ramco Widebelt sander, 37" x 70" belt, 25hp dual voltage, air tracking, newer conveyor belt, table bushings replaced, roller replaced, contact drum in good shape. variable speed feed with reverse. 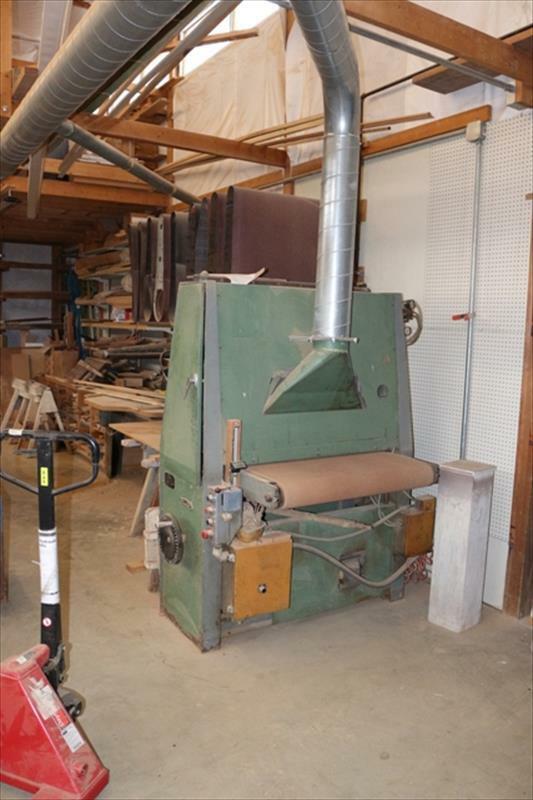 Second owner, used in small shops both times.